I’ve always loved sports, playing playing lacrosse and field hockey at Springfield High School and moving onto Villanova University, where I played field hockey for an additional two years. As a Wildcat, I received my Bachelor of Arts in Human Services before moving on to Chestnut Hill College to get my Master’s in Education. 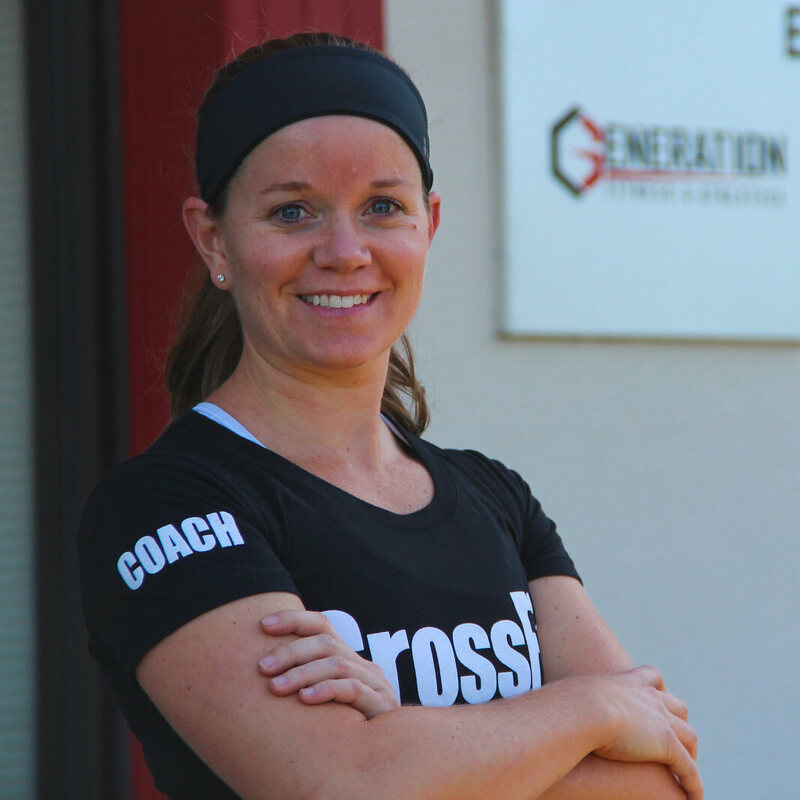 My husband Nick and I started CrossFitting with Barry at CrossFit Generation in 2008 and it has become a huge part of our lives. CrossFit has helped me cultivate a healthy lifestyle and created better self esteem and confidence when stepping outside my comfort zone(s) both in and outside of the gym. As a coach, I love helping our members, especially the kids and teens, develop a lifelong love of exercise. Nick and I live in Chalfont, PA with our sons Nick Jr. and Matthew and daughter Brooklyn and our Australian Shepherd, Maya. Best Vacation Spot: Anywhere with a beach!